Remaining a powerful indictment of war and social injustice, this is an epic drama set in the seventeenth century during the Thirty Years War. We follow the resilient Mother Courage who survives by running a commissary business that profits from all sides. 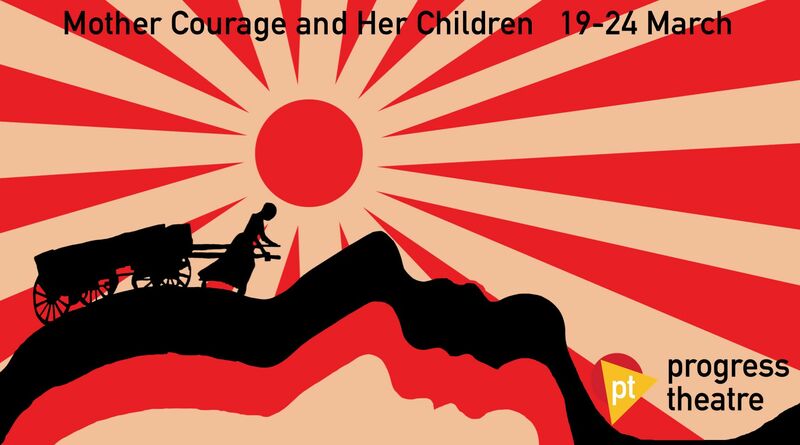 As the war claims all of her children in turn, the play poignantly demonstrates that no one can profit from the war without being subject to its terrible cost. The Henley Standard: "Well done to a supporting cast of all ages, who combine their efforts for a production in true Brechtian style. They tumble onto the stage from all directions; they sing; they dance; they interact with the audience." 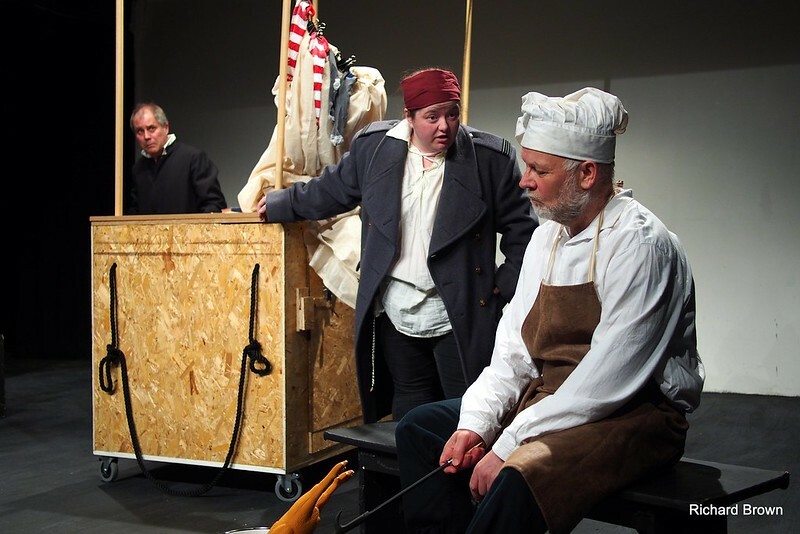 The Whitley Pump: "Progress Theatre shows us a hard-nosed entrepreneur in Mother Courage, capable of both grief at the fate of her children and a studied heartlessness when survival is at stake." Explore Reading: "Progress Theatre’s performance does not disappoint, managing to hold both the darkness and the humour of Brecht’s text without sacrificing either." This amateur production of “Mother Courage and Her Children” is presented by special arrangement with SAMUEL FRENCH, LTD.